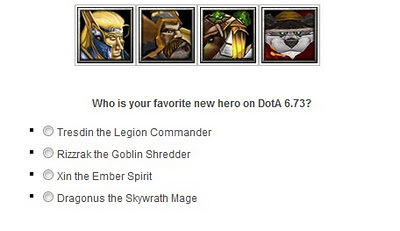 DotA 6.73 Polls, Participate Now! DotA 6.73 has a huge list of changelogs, including 4 new heroes and 5 new items. But which one people like the best? Find out now by participating in our polls! anyway, imo Xin needs 1 of his skill changed to be a pasive, just a piece my thought.